The issue of player safety, in rugby, has never been more rigorously scrutinised than at present. But this column would like to make a stand against the silent injury threat, the issue that no one talks about. The full definition of this horrific act, underlines how imperative it is for the sport’s governing body to act, and act now. A wedgie occurs when a person’s nether underwear or other garments are wedged between the buttocks. While a wedgie can be created naturally, the term is usually associated with a prank or as a form of bullying. When a person is on the receiving end of a wedgie, his or her underwear or other garment is forcibly pulled up by a second person. A record crowd, sun filled clear blue skies, and fourteen tries, the Judgement on Judgement day was that it was a rip-roaring success. West proved to be best, as Scarlets and Ospreys gave Cardiff the Blues, and extinguished the fire of the Newport Gwent Dragons. It was made even more worthwhile by the bright sunshine that greeted me on my arrival, I wore sunglasses, in Wales, for the first time since 1978. To clarify, you only normally wear darkened glasses in Wales if you have an accompanying Labrador. 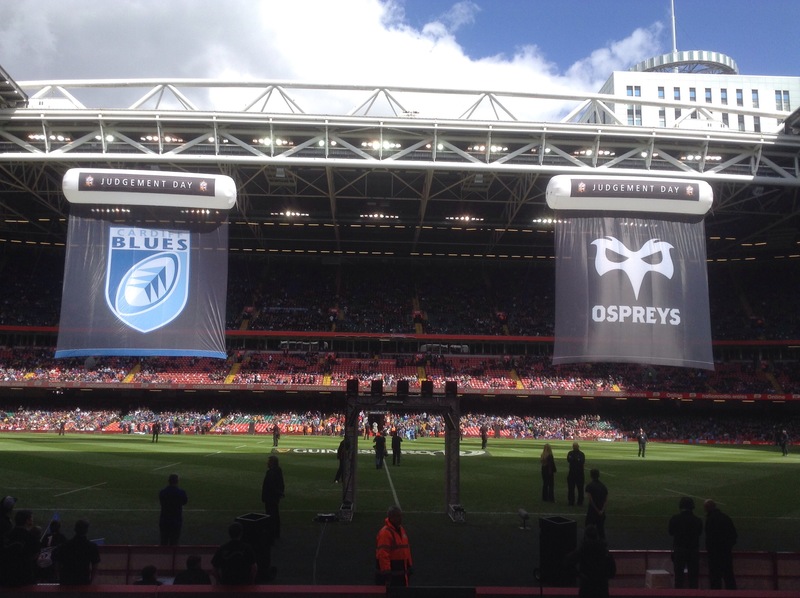 The Principality Stadium With its roof wide open, hosted a record crowd for a Pro 12 match. 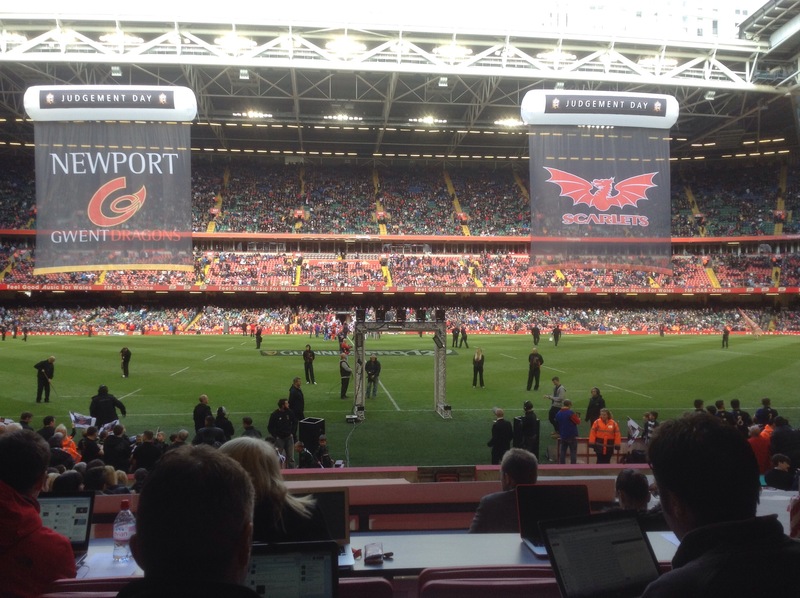 68,262 were treated to a day of rugby with European and play off places at stake, as well as derby day bragging rights that would echo across the width of South Wales. 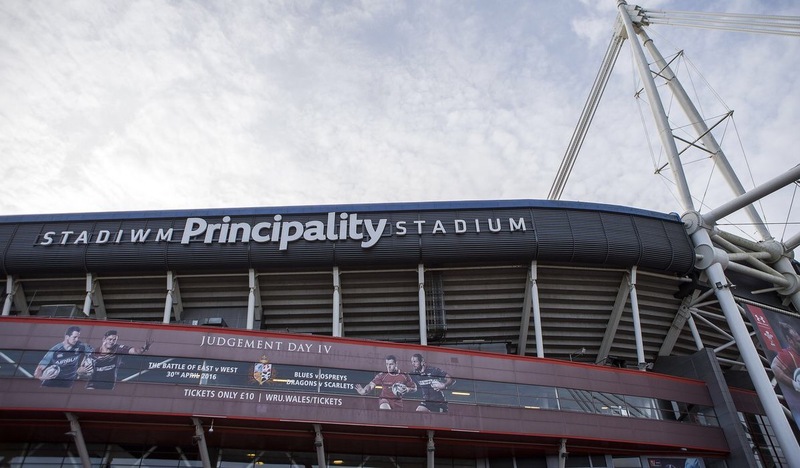 After dismal attendances at Pro 12 matches in Wales this season , it just shows what decent marketing, and competitive ticket pricing can achieve. Coupled with the spirit of glasnost, that currently exists between the WRU and the Regions, and the fact that all the regions star international players were on view, the build up to this event has been nothing but positive, and will no doubt inspire further such initiatives. Ospreys saw off Cardiff Blues European champions cup hopes, with a six try bonus point win. After a breathless fifty-one point filled second half, where the lead see sawed back and forth, with tries raining down , Blues defensive sloppiness cost them dearly, as Rhys Webb pulled the strings, and scored two tries himself, to keep the Ospreys hopes of a champions cup place alive going into the final Saturday. In the second match, the Scarlets guaranteed their place at Europe’s top table, with a bonus point win against the injury hit Men of Gwent, who refused to give in, and battled until the very end. Scott Williams was a revelation for the Scarlets, his first game since suffering a serious knee injury, against England in the rugby World Cup, he inspired the Scarlets with his delicious angles of running and sleight of hand, scoring the opening try after only nine minutes, he looked like he had never been away. His creative spark has been sorely missed by Wales and the Scarlets this season. Victory was never really in doubt for the West Wales outfit, even when Pete “The Meat” Edwards was yellow carded for a no arms tackle, the Scarlets try threat was always visible. Welsh management will be concerned that Sam Warburton and Samson Lee suffererd shoulder and head injuries respectively. This was probably one of the finest days for regional rugby in Wales,the success of which must be built upon. Perhaps a season opening double-header, as adopted by the Aviva Premiership, would be a good place to start ? As the Principality stadium emptied yesterday, we were shading our eyes, quite aptly, from the glorious golden sun, setting in the west. Maybe a bright new dawn is on the horizon, in the long-range forecast for regional rugby in Wales.